I recently made a new twin screw vise to replace my older one (build video). There’s nothing wrong with my old one; I just wanted to make a new one that was a little more aesthetically appealing. 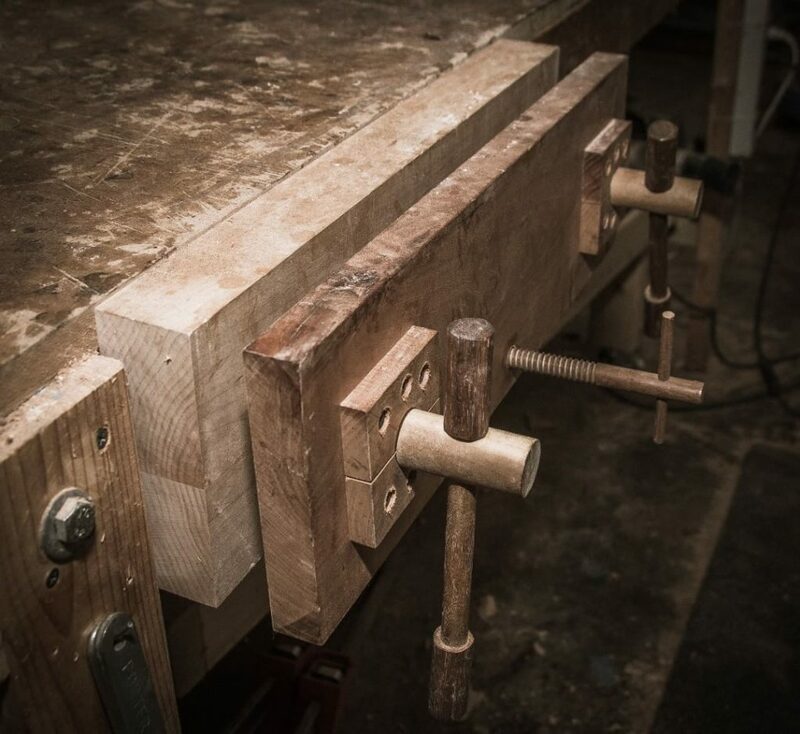 For my new one, I turned my own screw blanks at the lathe instead of using commercially available 1″ dowels. Aside from the look of the front jaw, the wooden screws are the only difference. 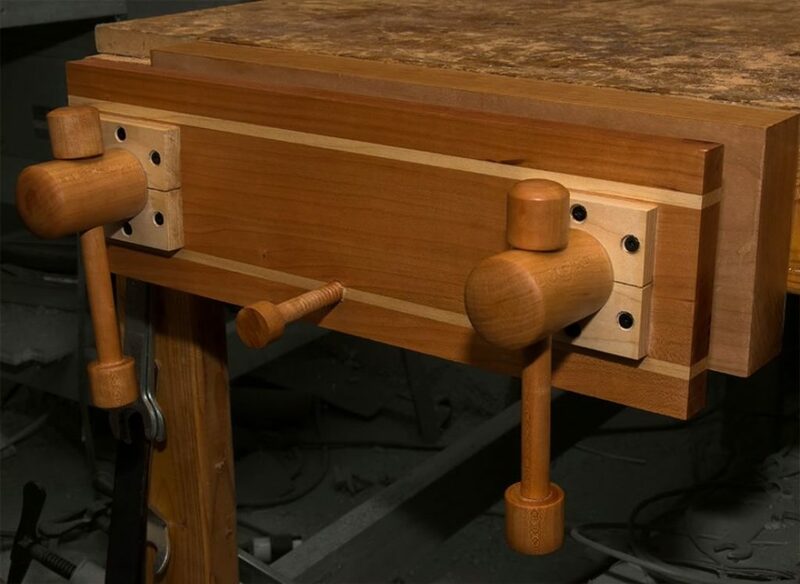 If you’d like to build your own twin screw vise, I have very detailed plans available for a small fee. I am giving my old vise away to a Patreon member that has already been selected. Congratulations Jack Danner. He is the winner of the GarageWoodworks first annual egg hunt! That was a lot of fun and I definitely plan on doing this again next year. I hope everyone that participated had a good time. The Easter Egg Hunt is open! Get your basket and have fun. I painstakingly hid Easter eggs all over my website (excluding the forum and Blog). When you find an egg, click on it, and then keep looking until you’ve found all five. If you find all five of the eggs you will be prompted to enter your name and e-mail address. The first person to find all of the eggs, and submits their contact info in time, wins. Some of the eggs are easy to find and a few might take you a while. Have fun! The winner gets a T-shirt of their choosing from my cafepress store OR one of my plans from my website. If you are outside of the USA, I can only offer one of the plans as a prize.